Oh, how I love this time of year. When else can you get away with drinking warm boozy drinks by yourself late at night, streaming the new ATCQ album, all while frantically wrapping presents by the light of a haphazardly decorated Christmas tree. Just try doing that in the summer . . . I dare you!! This year’s warm boozy drinks are brought to you by the letter ‘R’ as in, rum, and the number ‘2’ as in, two drinks are better than one! In all seriousness, today’s recipe comes from the one and only, Jennifer Farley. You’ve probably noticed by now that I’m quite The Gourmet Kitchen fanboy. 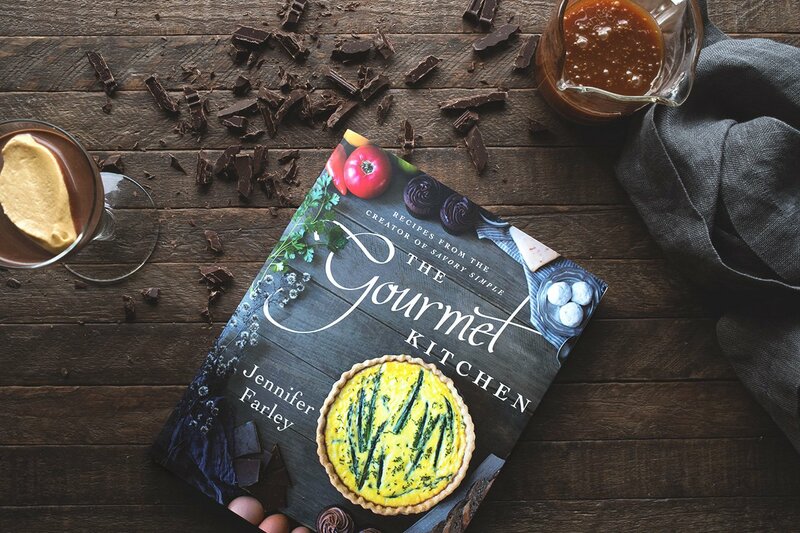 Both on her blog, and now in her book, Jennifer has the uncanny ability to create elevated, yet approachable cuisine. Today’s drink is no exception. I swapped out the bourbon for rum, but feel free to use your spirit of choice. ‘Tis the season!! 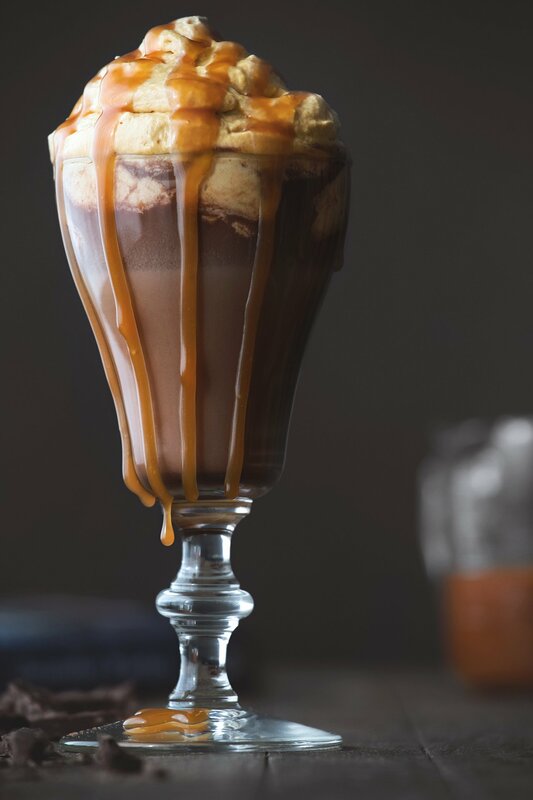 Salted caramel cream! where have you been all my life?? 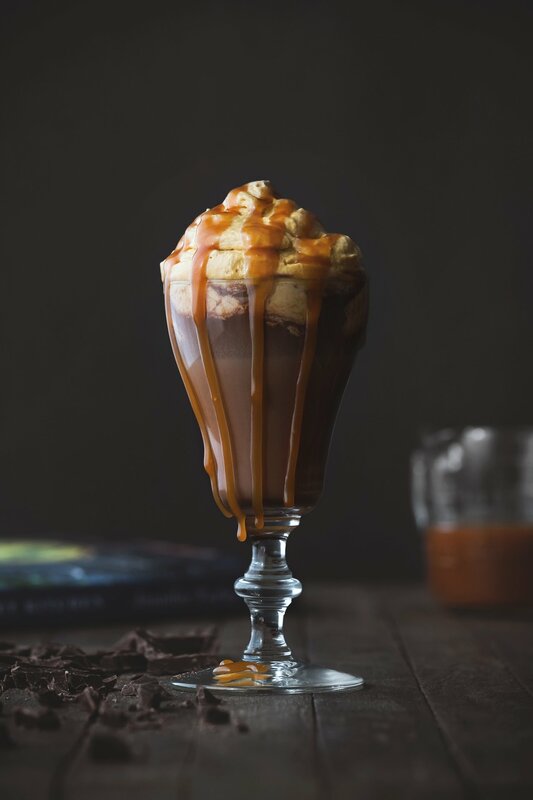 This hot chocolate looks gorgeous and i am going to be putting salted caramel cream on everything!! This hot chocolate is breathtaking. Jennifer’s book is one of my favorites and I too am a fan.